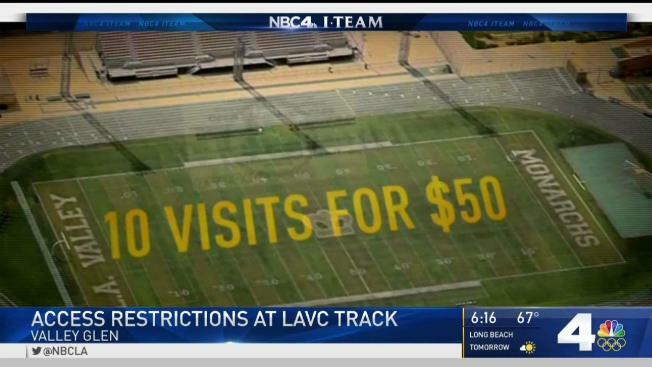 Community members say Los Angeles Valley College used taxpayer money to build a $4 million state-of-the-art stadium, but is limiting public use of the track to one morning per week. Carl Acosta, an 82-year-old competitive race walker, has won meets all over the world. He's trained on the track at LAVC for free since it was dirt. But now, access to the public has been reduced to just a few hours a week. Monarch Stadium cost taxpayers $4 million, and the jewel of the stadium is its 10-lane rubberized track. The school says is the first of its kind in California. Acosta says the Valley Glen school could learn a thing or two about public access. Free public access to the track changed in 2013. It's limited to, from 6 a.m. to 9 a.m. Saturday. It costs community members $8 to use the track, or a discounted rate of $50 for 10 visits. "The problem is a liability issue, we can't leave it open," said the college's president, Erika Endrijonas. Actually, the school can leave it open, they just don't. Endrijonas says the school is trying to preserve its track, and charging the public to use it pays for someone to watch it to prevent vandalism and for safety. "What if somebody is on that track and they fall and they're by themselves? There's nobody here and they call and they hurt themselves. Who's going to help them?" she said. The number of people using the track may be surprising to some. 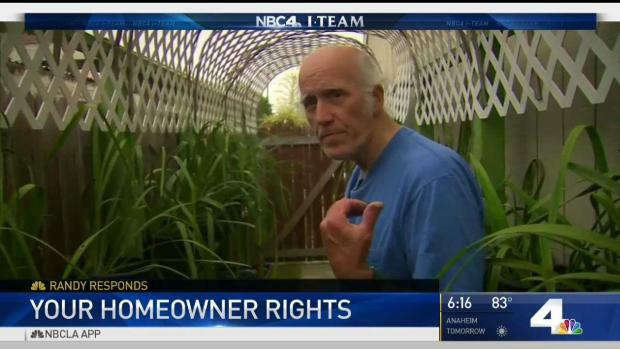 After waiting two years for a condo builder to literally mend fences, a Costa Mesa man says he's had enough and just wants to be able to expand his garden. 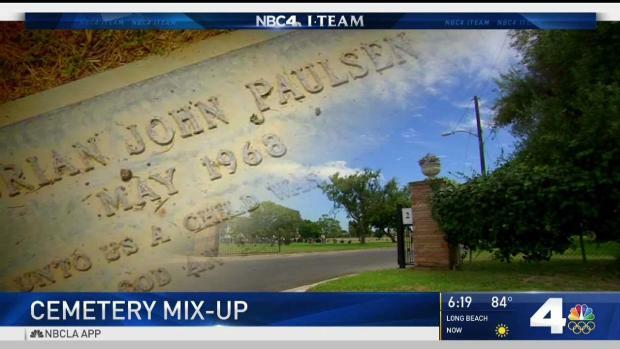 Randy Mac reports for the NBC4 News at 6 p.m. on Wednesday, June 14, 2017. "Right now, on average, three people use the track on Saturday morning," Endrijonas said. LAVC doesn't have a track team, so outside of some physical education courses, it seems like it is seldom used. "It's never used by the public on Saturday other than three people who are coming, but that doesn't mean it's not used," Endrijonas said. The NBC4 I-Team asked Cal State Fullerton if it allowed non-supervised, free public access on their new rubberized track. Their response was, "yes, all (CSU) are public universities that are open to the public." LAUSD says public access to their tracks are determined by individual schools based on class schedules and events. Schools we contacted say generally there is public access before and after school. A grieving woman says she was overbilled more than $1,000 on a casket she bought to bury her mother in. 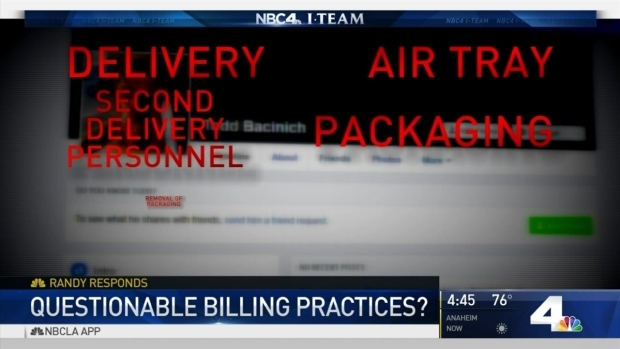 Randy Mac reports for the NBC4 News on Wednesday, May 27, 2017. Acosta says he'll keep pushing for free public access to LAVC'S track. "This is a multi-million dollar state-of-the-art track," he said. "They locked us out." In talking with athletic and facilities directors from several public colleges and schools, they say they never heard of an outdoor track requiring a paid employee to sit and watch people work out. They also said they haven't seen a track surface vandalized. We asked LAVC if the public could access the track for free while the football or soccer team uses the turf field for practice. The school says it's something they can look at, but their policy is based on the advice of their general counsel that use of the track be directly tied to course work, and any operational costs for recreational use be fee based.